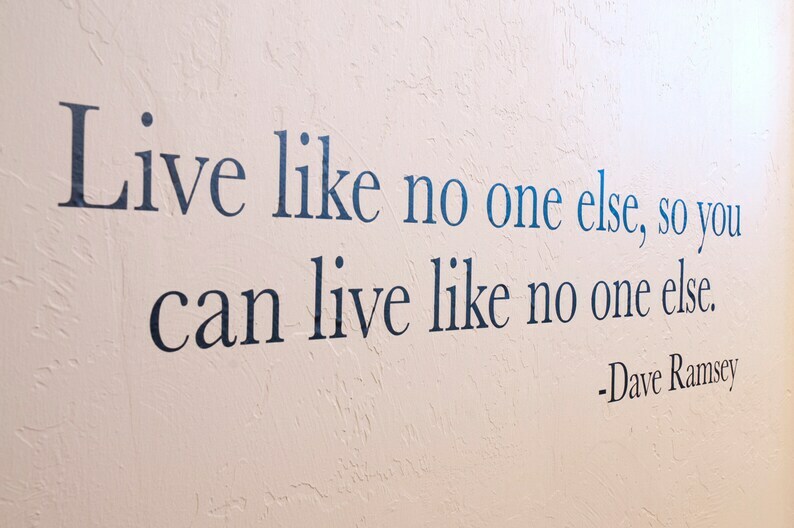 This popular Dave Ramsey quote will look great anywhere in your home and give you inspiration to "Live like no one else"! We were so happy with the service we received! The decal went up perfectly. Would definitely recommend and use in the future.